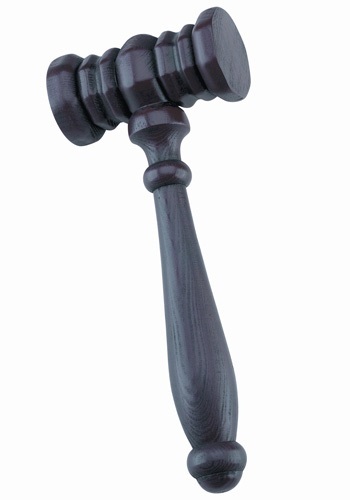 Imagine what life would be like if you could use a judge's gavel for any situation—if your word and the gavel's bang against wood was the supreme law of the land. Life is hard sometimes: even friends and family and close coworkers can test our patience and have us wishing that this gavel-wielding reality could be realized. The kids start to get unruly at dinner time? Rap the gavel. "Order in the court!" Catch your spouse or significant other putting the empty tray of ice cubes back in the freezer without refilling it? Rap the gavel! "Guilty!" Your boss didn't like your stellar, well-thought-out proposal and skewered it in front of everyone. You guessed it; rap that gavel! "Objection overruled!" Ahh, yes, it would be quite the life, wouldn't it? What, you disagree? Bang! Silence!